And by god, you wait and see, there will be dancing. One day, you will dance with your husband again, in the place you both call home. Bring on the Rose and goats cheese salads! Yes - this is what I do when the sh** hits the fan - make a plan (can be changed at a later date) and travel. Seems to offer a little perspective. I always feel better when I have a plan! Vacations have a way of always saving the day!! I hope your week is going well! Sounds like a vacation is exactly what you needed! Oh you poor babies!!! I didn't know. You haven't posted in so long and I check back from time to time to see if there is any news as I don't do any other media. I am just incredulous that the green card fiasco has happened. I am so sorry. What in the world can the government officials be thinking? I am so glad to hear you got a lawyer. I really think it will help get Gregory here faster, but hope he still wants to come. Such craziness. I thought you were probably happily traveling the country and enjoying him here. Shocking, but girl you are a feisty one and are taking it well it sounds like. My very best to you both and hopeful this will quickly be settled. I am really really hope that things will work out soon. I am keeping my fingers crossed. Glad you were at least able to have a great time together on your vacation! I hope you had/are having a wonderful time with Gregory and all your friends. And the rosé of course. Never forget the rosé (although the weather in this corner of France is more of the vin chaud type - wet and miserable.) May God keep you both in the palm of his hand and hopefully, as Puppyfur said, there will be much dancing soon. A vacation is exactly what you needed! 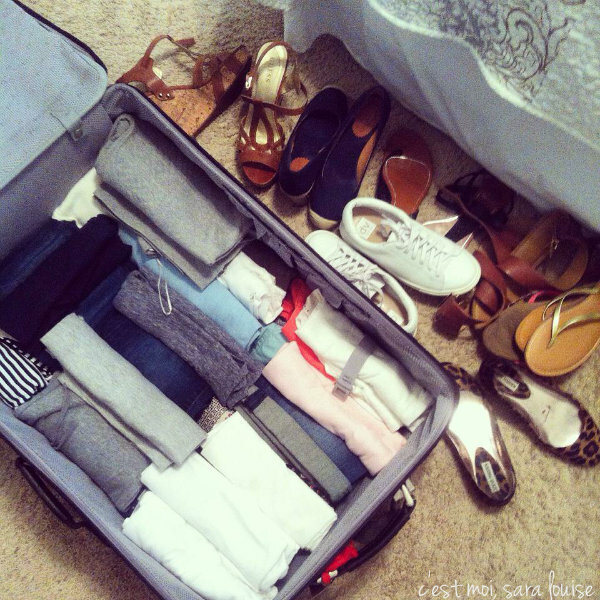 By the way, I love how to organize your things in your bag!